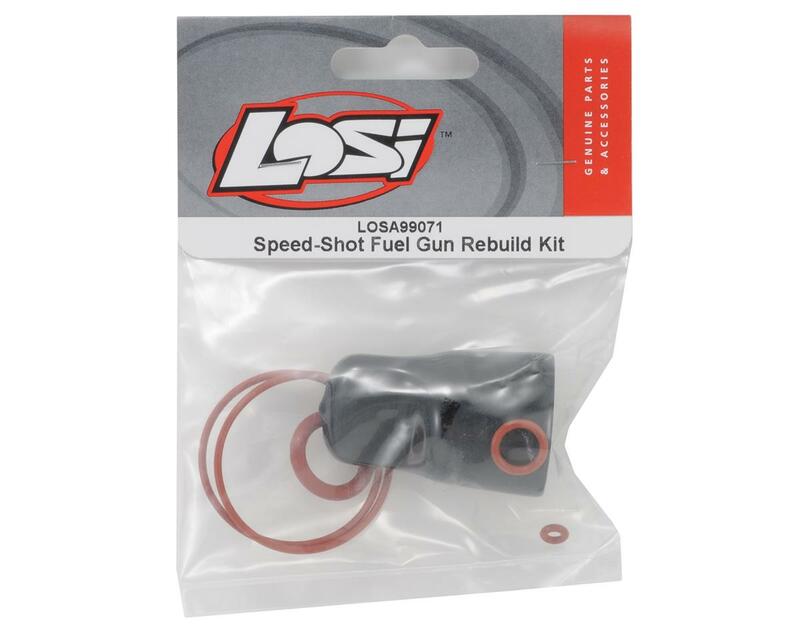 This is the Losi Speed-Shot Fuel Gun Rebuild Kit. The Speed Shot Fuel Gun Rebuild Kit allows racers to replace all the seals and O-rings in their Losi fuel gun. The kit includes all necessary seals and O-rings, as well as a dump tube cap which protects the O-ring from dirt and catches any fuel that might leak into the vent tubes. Over time the seals and O-rings will wear and shrink, resulting in a weakened seal. 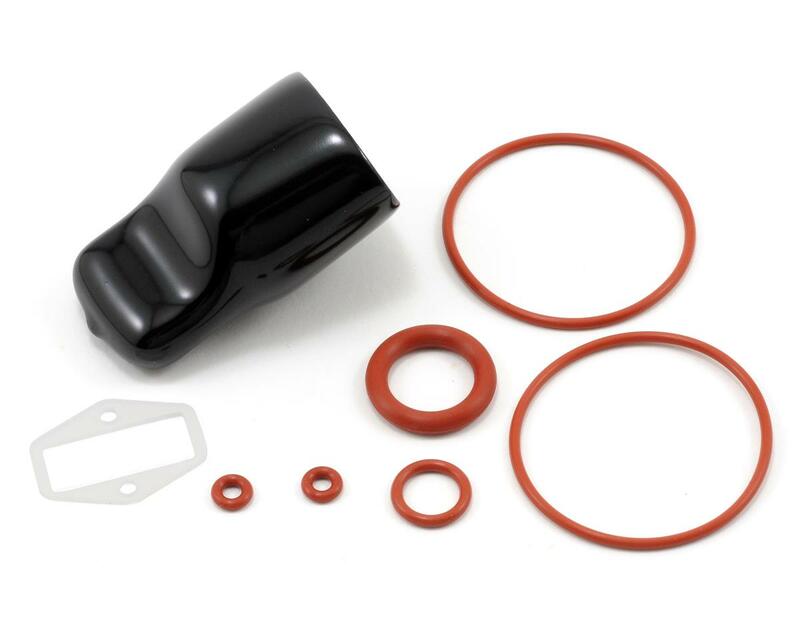 This kit will allow you to rebuild your fuel gun, and prevent the gun from leaking fuel.